For you to set up a blog or website, you need somewhere online to place that blog or website such that people across the globe can access it. The website or blog will be placed or contained in servers probably somewhere overseas. From these servers, owing to their powerful hardware resources, people from across the globe will be able to access your website or blog. These servers are owned by companies that provide you the services of containing your site. These companies are what we generally call hosts or web hosts. It’s like when you invite your loved ones and strangers to your party, you will be the host of the party. Web hosting then will be the business or activity of providing storage space for website assets as well as access to these website assets from anywhere in the world. Free Web Hosting is where a web hosting company allows you to create web pages within their own website. That means the link address to your site in a free web hosting platform will read something like “yoursite.freehostingcompany.com” instead of “yoursite.com”. From the outside, it may seem like you have your own site but in reality, you are actually piggyback riding on the already existing website; the web host’s site. It’s still beneficial because you still get some place to establish your site and anyone from across the world can gain access provided they have the link to it. The drawbacks of free web hosting are that its resources are usually limited, your site may be bombarded with irrelevant ads, and you’ll have very little control over what happens to your site. For instance, your site could be terminated without cause or notice, and it may sometimes be slow or even go offline and you’ll have no say in the matter. By now you know that online, your website exists in some server somewhere across the globe. With shared hosting, you’ll get your own site, your own domain, and you may have some say over what will happen to your site. The thing with shared hosting is that you’ll be sharing a server with various other websites. Remember that servers are often way more powerful than the average desktop computer you have at home. As such, they often contain powerful hardware resources that a simple website can’t exhaust. Hence, it is common for one server to host various websites, according to the capacity of its hardware resources. Shared hosting is far much better than free web hosting because you’ll have access to more hardware resources, and you’ll also have some say as far as quality services are concerned. The companies offering shared hosting will be more responsible compared to those offering free web hosting. The main drawback of shared hosting is that since various sites are being hosted on the same server, if one site has issues or if the server is affected in any way, then all sites on that particular server are likely to be affected. If you’d like something better, perhaps you should consider VPS hosting. VPS hosting is pretty much like shared hosting but with one significant difference, each website hosted on a server has its own dedicated resources. That means that if one site has a problem, it won’t in any way impact the other sites on the same server. VPS hosting makes use of virtual machines. A virtual machine is like an entire server in itself with its own resources (its own RAM, processor, hard disk space). With shared hosting, a single server can have up to 5000 sites being hosted on it. This can significantly affect the performance of the server. But with VPS hosting, a single machine will have around 20 sites being hosted on it. If it’s the same server as the one being used on shared hosting, it means more resources will be available to be distributed to those sites. Virtual machines exist independently within the main host (the main server). Whatever happens in one virtual machine is never realized by the other virtual machines. That makes VPS hosting more reliable, secure, and stable than shared hosting. The main drawback with VPS hosting is that you are still limited to the available resources allocated to the virtual machine hosting your site. If there is potential for more resources to be added to your virtual machine, you can discuss the matter with the company in charge. Otherwise, VPS hosting is preferable if your site is data sensitive, or gets a significant amount of traffic. Dedicated hosting is in a way similar to VPS hosting but the better thing with it is that instead of your site being hosted in a virtual machine, it’ll be hosted in an entire server dedicated to it. Yes, all that power I’ve been referring to that servers have, will all belong to just one website; yours. You can already get the feel of the kinds of resources that will be at your disposal. You’ll be able to accomplish a lot with so much power in your hands. Dedicate hosting is ideal if your site will be handling a lot of traffic, will be dealing with sensitive data, and if you have the money to afford this kind of resource. This is where you buy your own server and take it to a data center like one of those web hosting companies, and have them set things up for you. But the company has to be one that offers colocation services. Once they set things up for you – as in they set up your server within their network and provide you with an IP address – you are good to go. You’ll only be using their bandwidth but the server you’ll be using will be yours. This kind of web hosting can be a bit demanding on your side. If the company you’ve selected offers services that include taking care of your server, you’ll be fine. But if they don’t or if you opt otherwise, you’ll be the one responsible for anything that happens to your server. 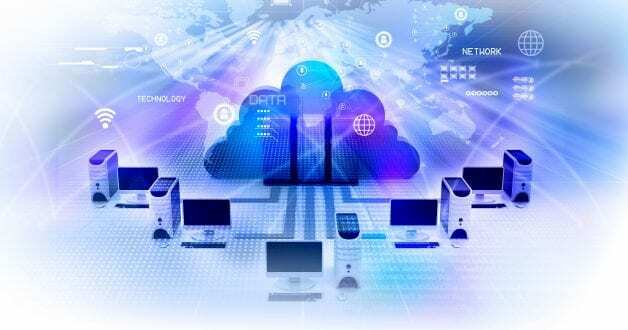 Cloud hosting echoes dedicated hosting with the one difference that the resource potential available with cloud hosting is far much greater than you can ever achieve with dedicated hosting. Cloud hosting combines various hardware resources together to provide web hosting services to clients. The number of resources that can be dedicated to one site in cloud hosting is much greater than those available in dedicated hosting. Dedicated hosting is only one server, but cloud hosting includes hundreds of resources brought together. The resource capabilities available with cloud hosting is endless. This is one of the most reliable, and convenient web hosting available. It’s as simple as this, buy your own server, host your own website from home, or wherever. The main point is that you are in charge. Every resource you use is your own. No one tells you what you can do and what you can’t do. But since you are the one in charge, you are also the one to blame when things go wrong. In case of power failure, your site goes down. In case the server has issues, your site goes down. If you are hacked, you know the drill. These are the major types of web hosting. You are now informed and in a position to deduce which one best suits you.